The missionary organisation behind the visit of John Allen Chau to North Sentinel Island, where he was killed by the inhabitants, has responded to questions from Christian Today with a defence of his actions. North Sentinel Islanders are a 30,000-year old tribe who have repeatedly repelled efforts to contact them. They have been isolated by the Indian government to protect them from the diseases carried by outsiders and the government has set up an exclusion zone around the island. It has said Chau's landing was illegal and the fishermen who helped him have been arrested. While some regard him as a hero and martyr, his actions have been widely criticised. Dr Pam Arlund, a member of the international leadership team of All Nations, told Christian Today by email that her organisation did not accept that North Sentinel Island ought to be isolated, that the landing was not illegal and that Chau had been well prepared for his venture. Her answers are given below. Christian Today: How much did All Nations know of John Chau's plans to visit North Sentinel Island? What advice was he given? All Nations: All Nations was aware of John's plans to visit the North Sentinel Island – he came to us for our help and support nearly two years ago. It was his lifelong mission to reach the North Sentinelese people and share the love of God with them. We helped prepare and train him specifically in the areas of his long-term mission there. In addition to the training in language, culture, and sharing the Gospel provided by All Nations, John had a wealth of other training. Before he came to All Nations, John had already completed a degree in Health, Exercise Science, and Sports Medicine. He had also completed a Wilderness Survival certification and was an EMT [. He had even survived a rattlesnake bite due to his immense preparation! 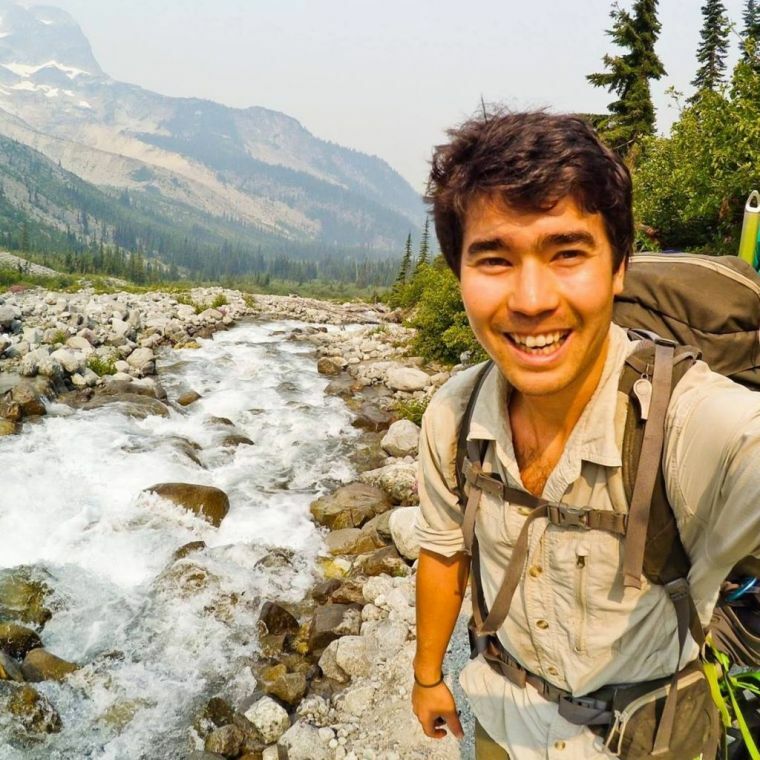 While John Chau was a member of All Nations, we have not had contact with him since October 18. CT: How do you respond to charges that he was putting the islanders' lives at risk because of their lack of resistance to Western diseases? AN: In preparation for his mission John Chau identified and tried to receive 13 different immunizations to try to make sure that he didn't spread diseases. We also know from his journals that he placed himself in a type of quarantine the last few days before his attempt to contact the North Sentinelese. No one knows for sure what might or might not happen if a group outsider befriended the North Sentinelese. We are aware that in the past when local outsiders contacted populations for the first time, there was often a rapid die off of the local population due to disease. For example, when Europeans arrived in the western hemisphere this was the case. However, in the modern time period, situations are much different from in the past. For example, we have antibiotics and advanced medicines that could help local populations survive initial contacts. These same medicines could likely help the local Sentinelese now, if only they had access to them. We do not know of their health condition, but perhaps some modern medicines would help them be healthier now. Perhaps some of them are dying of preventable diseases. We simply don't know. Denying a people group the right to medicine is not acceptable. CT: The island is off limits to tourists and he didn't have permission to be there. Does this raise ethical issues for you? AN: The first point I want to clarify is that the travel ban, called a Restricted Area Permit (RAP), was lifted in early August 2018 and included North Sentinel Island, among 29 other islands – allowing for people to visit these islands. The Indian Ministry of Home Affairs lifted this RAP. John celebrated the opening of the islands. Additionally, regarding John's activities to get to the island, because we didn't have any contact with him since October 18, he didn't share any specifics with us. We also don't know the extent John was aware of local laws, permits, or if he did or did not adhere to them, and what was involved with him hiring fishermen. We don't know if he had local permits, or why he traveled alone. Further, we are not aware of the local laws or when missionaries need permits. We work around the globe and it would be impossible for us to know the local laws of every town, city, island, and village across the world. CT: How did he intend to witness to the islanders, given the language barrier? AN: In John's last journal entries, we know he was already beginning to isolate the sounds in the language in hopes of learning it. He had completed a summer of linguistics training at Summer Institute of Linguistics' (SIL) at The Canadian Institute of Linguistics. He had also studied missionary classics like LAMP. (Language Acquisition Made Practical) by Elizabeth Brewster. All of this training helped John to be able to learn the language after he arrived there. That was a part of his plan for being on the island. CT: Some commentators have said this was a 'colonial-style' undertaking, that the people had shown they didn't want to be contacted and that he should have respected that. I wonder how you respond to that view? AN: We do not feel that honoring other cultures and leaving them alone are synonymous. We believe that all peoples everywhere have the right to hear about Jesus and his love and make their own decisions about whether to follow him or not. We believe in sharing Jesus' life affirming message in a way that honors other cultures. We know that the way Jesus is followed will look different in different places. However, we believe all peoples deserve the right to know about him. We do not know why the North Sentinelese do not want to be contacted. We know from history that they were treated badly during the colonial era. So, it's stands to reason that they are fearful of outsiders. However, leaving them alone in isolation and trying to keep the modern world away is not loving. It would be better to help the North Sentinelese to have meaningful engagement and dialogue with the best ways to interact with the outside world. Making contact with a group is not necessarily colonizing. Friendship and colonizing are two very different things. John had no intentions of ruling the North Sentinelese in any way. CT: Are there any other plans to evangelise North Sentinel Island or any other unreached people groups? AN: Although we have no plans to send anyone to North Sentinel at this time, we do have many plans to go to unreached people groups. We hope to be a part of the global body of Christ that gives all peoples everywhere the chance to hear the Good News of Jesus and to respond. To that end, All Nations will continue to monitor the world to find pockets of neglected peoples who have no/few churches and no/few missionaries and send workers for the harvest to those places as the Lord enables. We hope that many will join us in proclaiming this good news to all the peoples of the earth.